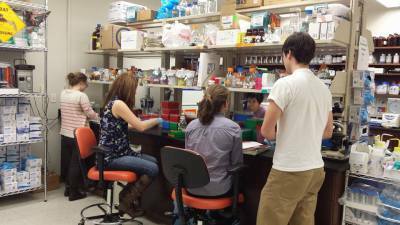 The Engel lab moved in May 2017 to the Strong Hall building on the UT main campus. 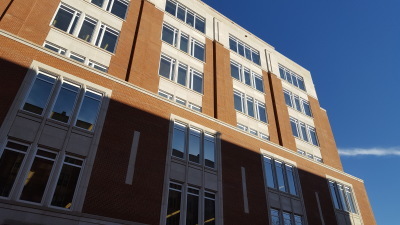 This is a new building occupied by the Department of Earth and Planetary Sciences. 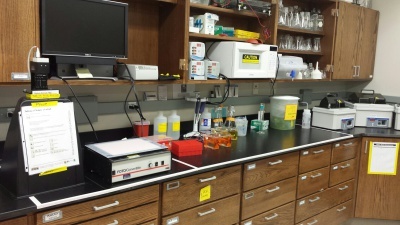 Equipment use is available for faculty, staff, and students who have training to operate the specific instruments and associated software for their research needs. Several of the instruments have separate online sign-up sheets to manage use and equipment maintenance, and to log hours. Contact Dr. Engel for more information. 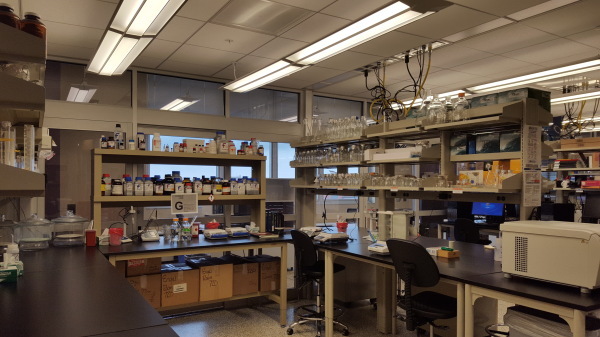 These are some general new laboratory pictures from August 2017, after we moved in and started research up again. This SRI 8610C gas chromatograph measures gases. This instrument uses hydrogen (produced from a hydrogen generator) and helium, and everything can be taken into the field for in situ measurements. 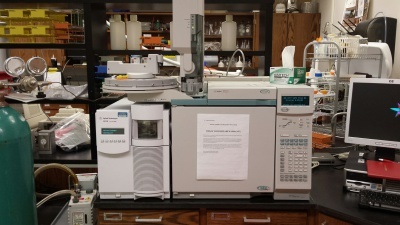 This Dionex ICS-2000 can analyze anions and cations separately using eluent generators. 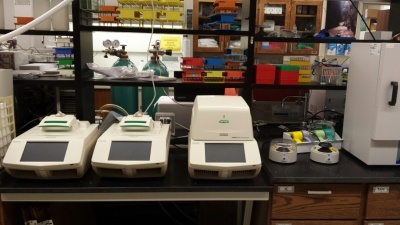 One autosampler supports both ion chromatographs. 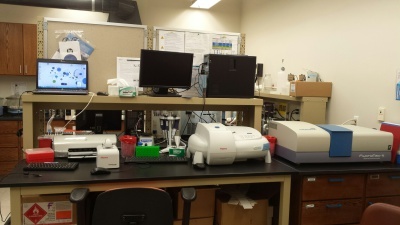 A range of spectometers are available, including a Nanodrop 1000 spectrometer, Thermo UV-Vis spectrometer, and a Horiba Jovan Fluoromax 4 spectrofluorimeter. 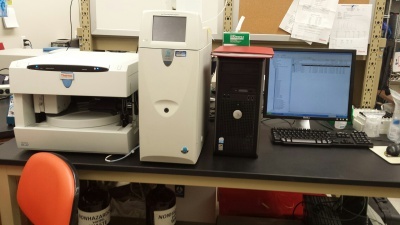 This Agilent GC-MS (gas chromatograph-mass spectrometer) instrument analyzes organic compounds in solvents, including hydrocarbon compounds. 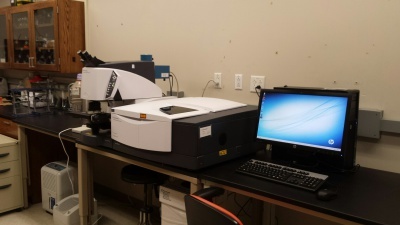 This Agilent Cary 600-series Fourier transform infrared (FTIR) spectrometer has several attachments for diffuse reflectance (for DRIFT analyses), attenuated total reflectance (ATR), and a microscope with focal plane array for chemical imaging. 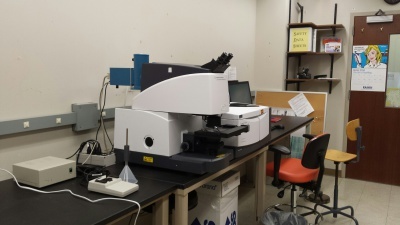 FTIR chemical imaging can be done with this microscope attached to the Agilent Cary 600-series FTIR. 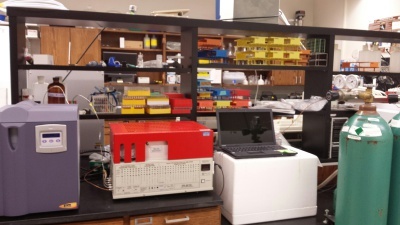 Used for polymerase chain reaction (PCR), there are two Bio-Rad C1000 thermal cyclers for experiments, and another C1000 Bio-rad thermal cycler converted to a 6-channel real-time PCR system with a CFX96 optical reaction module. Various instruments are available for gel electrophoresis for nucleic acids and protein visualization and purification. 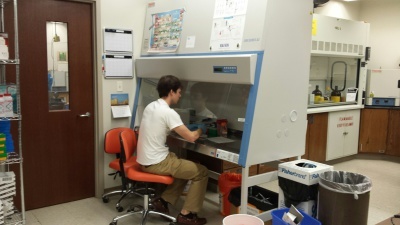 The BSC is an enclosed, ventilated workspace for safely handling sediments, water, etc. We operate under BSL-1 conditions, but can function at BSL-2 because of basic and advanced training, limited access to labs, and other practices. 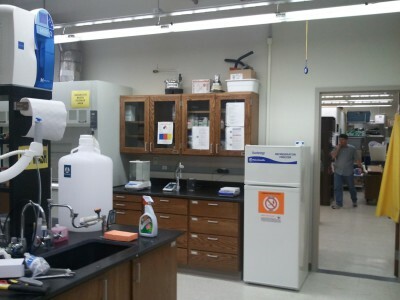 Other instruments are housed in the Engel lab, including an ice machine, large and small format centrifuges, pH meters, shakers, hot and stir plates, balances, pipettes, drying ovens, muffle furnaces, and grain size sieves and automated shaker. Various meters and multi-meter systems, as well as field spectrophotometer, are available for geochemical analyses in the field. Also available are piezometers and soil and sediment coring devices. 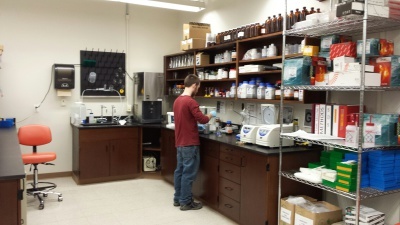 For field work, the Engel lab has robust sampling gear, including packs, dry bags, caving helmets, and lights. We also have many coolers, field sampling equipment, like peristaltic pumps, tubing, a generator, and other items that can go into the field. 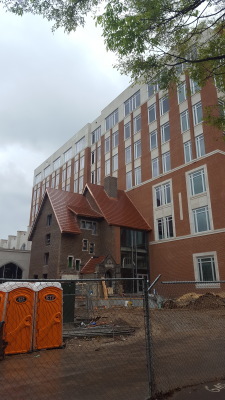 On the University of Tennessee campus, Strong Hall occupies a location on campus that was originally for the 1926 Sophronia Strong Hall, UT's first women's residence hall. 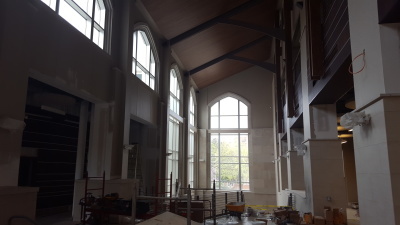 The outer stone archways for the new building came from the original dorm, and the names of the first five female students enrolled at UT are included in a stone garden around the building. 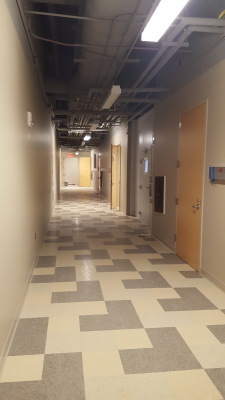 It took a little more than three years to complete Strong Hall, a 268,000-square-foot facility that now houses the Department of Earth and Planetary Sciences, the Department of Anthropology, and parts of the Department of Chemistry and Division of Biology. 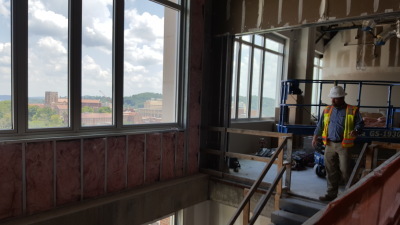 The building also includes general classrooms, like 150- and 250-seat auditoriums, and flexible teaching spaces. More information about the Strong Hall project and news is here. 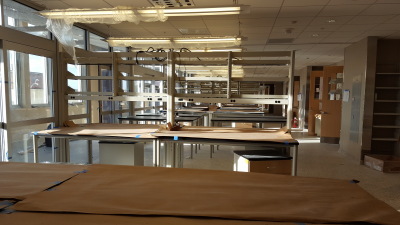 The following are pictures from various stages of construction for the building and our laboratories from 2016 - 2017. 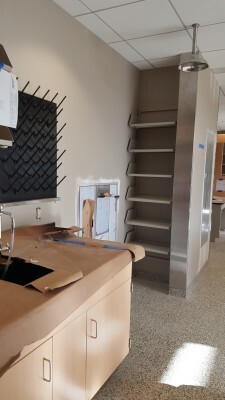 Renovations were completed within ~18-20 months, although we still seem to be in a constant state of flux as we adjust space for new students, project needs (like getting new freezers), and install new equipment. 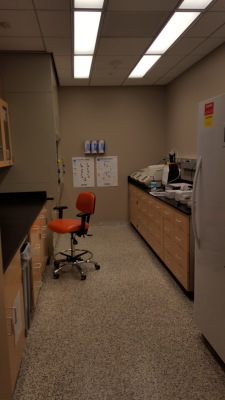 The lab has diverse geochemical, molecular genetics and culturing equipment, as well as all of the field equipment needed for research and teaching. These are 'before' pictures in 2011. 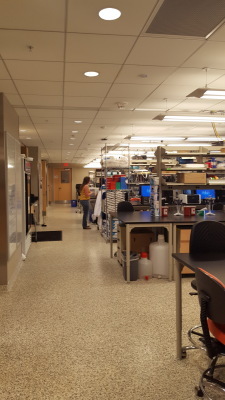 A door was put in to connect two different lab spaces. These are 'more before' pictures in 2011 and 2012. We have since had a new floor put down throughout most of the space in 2015.